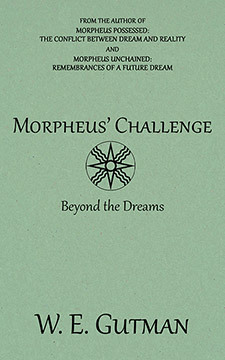 In this third and last installment of the Morpheus Trilogy, W. E. Gutman heeds the dream maker's entreaty to "wake up, go beyond the dreams, and remind [the reader] of the paradoxes, the aberrations, the deceptions, and the monstrosities that define man and mark the human condition." Calling for the overthrow of false prophets and demagogues, a mission he considers time-sensitive and long overdue, he warns that the greatest obstacle to wisdom is not ignorance but the illusion that we know it all. Born in Paris, W. E. Gutman is a retired journalist, a former staff writer at the late-great New York City-based futurist monthly magazine, OMNI, the co-founder of a now defunct military intelligence journal, and the past U.S. editor of a Russian scientific and cultural magazine. He reported from Central America from 1994 to 2006, focusing on politics and human rights. He has published hundreds of articles, news analyses and editorials and is the author of eleven books. He lives with his wife in Florida. Mention the title, author and/or ISBN 978-1-77143-381-5. Google Play, Apple's iBookstore/iTunes, Kobo Books, Barnes & Noble's Nook, etc.